Today's review is going to be about Born Pretty Store Pro Bottle Gourd Makeup Sponge and this is said to be one of the exact dupe of much raved Beauty Blender. Let's pop the bubble by reading ahead. Brand new and high quality give you flawless foundation application every single time. No streaks and no areas with too much makeup or too little. Make up blender sponge, apply it like a Pro. Color: Green, hot pink, black, white. Beauty Blender Sponge is not a new name if you are into makeup. It's cute little egg shaped pink makeup sponge that priced around 20$ at Sephora. Beauty Blender Sponge bound to apply liquid/cream foundations seamlessly and blends it like a dream without being heavy or caky and gives you A-H-MAZING flawless almost air brush finish and it does sound superb but 20$ just for a makeup sponge? In my opinion is quite a steep who are not much into makeup or who don't wear makeup on daily basis or are on budget or just want to try it out to see whether it's wise enough to invest 20$ in a makeup sponge. Well!! Thankfully, there are many dupes available on various websites but there's question arises 'How to choose the right dupe'? Since, I'd tested original Beauty Blender Sponge so I can easily relate them togather. Therefore, I searched a lot and read coutnless raved reviews for Beauty Blender's dupe and I stumbled upon Born Pretty Store and their Pro Bottle Gourd Flawless Powder Puff Blender but the only flaw they have them in Bottle Gourd shape instead of egg but still this didn't bother me. The pro bottle gourd flawless powder puff blender comes in clear plastic bag and the has a soft texture though not as soft as original beauty blender but for the price the softness and quality is amazing. I used to apply this little baby to apply my liquid and cream foundation by soaking the sponge under running water and squeezed out all water and squeeze enough when you can see that there no more water left and has become squishy soft. Apply foundation on face with the help of your fingers and make it bounce on your face (stippling motion) and blend out the foundation. Oh boy!! It does take a little long time then using any foundation brush or fingers but yes end results are fantastic. The base can be use to buff/blend foundation on face whereas the pointed end is perfect for buffing around mouth, corners of the nose and under eyes. I love how effortlessly this can be used to blend out the foundation by giving you flawless, natural skin without giving you a hard time. Gone were those days when blending foundation was tad difficult. On a side note, I'd like to mention please don't put on foundation on dry sponge as it will soak a lot of product resulting you will need more foundation then usual. I prefer using it damp (not wet) but just damp and after each use I clean it by soaking it in luke warm water along with any mild shampoo, preferably baby shampoo and anti-bacterial liquid soap then after few mintues gently rub the sponge against palm and wash it. Don't dig in your nails, resulting you will be damaging your sponge as stains of foundations more likely to their but it's more important to clean the spong rather getting it completely stain-free. After a gentle wash I squeezed out extra water and let it air dry. Overall, I'm completely pleased by this little beauty and made me it's fan just like Beauty Blender. The price is just fantastic if you compare it to the original beauty blender sponge. I've been using it for about more then 5 weeks and it didn't loose it's shape and softness. Therefore, I advise if you are on budget and looking for a great dupe for beauty blender sponge must give it a try and consider getting two three at time as it's incredibly budget friendly. You are looking a dupe for Beauty Blender Sponge. You are looking for something gives you flawless, airbrush finish. Don't want to use too many brushes for foundation application. You don't like duplicate products. You may find it un-hyginic. Washing and drying is a hassle for you. 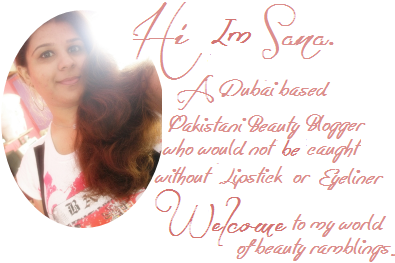 Born Pretty Pro Bottle Gourd Flawless Powder Puff Blender priced 3.30$ and can be purchased from Born Pretty Store here. 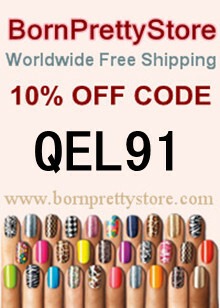 Use the code below to get 10% off your purchase. What do you think about Pro Bottle Gourd Flawless Powder Puff Blender? Have you tried any of Beauty Blender dupe yet? 26 comments on "Born Pretty Store Pro Bottle Gourd Flawless Powder Puff Blender [Review]"
I never really get the Beauty Blender hype before - I just looked and still looks at it as a sponge shaped differently LOL. I guess that's me saying I'm not much of a makeup person, but I have used sponges back then before switching to brushes. Price wise is definitely worth checking this product and seems like a complete dupe of the original one. I'm glad it's working great on you! Sounds good at a great price. i need one..blending is easier this way..so far i just use my fingers..
Wow! I love this review! It's great to get the skinny on a dupe! definitely agree that the BB is way to expensive for something you can get similar literally anywhere online - great post! I've been wanting to try the beauty blender but have been looking for a cheaper alternative. I think I will give the one from Born Pretty Store a try. Thanks for sharing your review! I know a lot of girls LOVE the beauty blender, but I think I still prefer my brushes. I've never tried it though, so I might give it a try one day. Awesome post! I have a different brad of Beauty Blender dupe, but it's the same shape as the one you've reviewed. I love it; it makes makeup application so quick and easy!! Anything to make foundation application easier! :) Personally I use my fingers to apply foundation. Thanks for the review but I had never heard of it. I think the price is just too much. I would love to use this for my makeup..it would definetly help to blend ..Totally a must buy! Nice review!